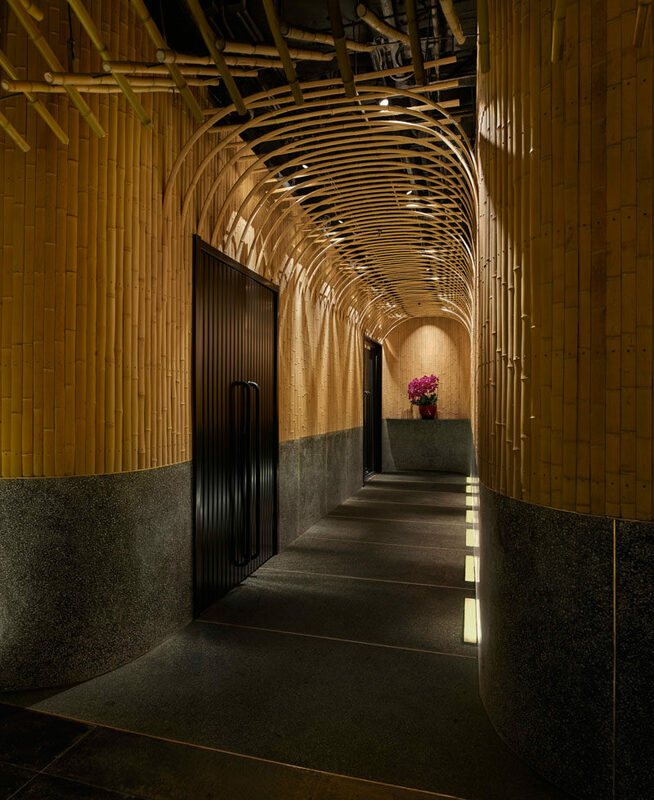 Imafuku Architects has designed the interiors of ‘Dongshang’, a Japanese restaurant in Beijing, China, that features a bamboo covered entryway. 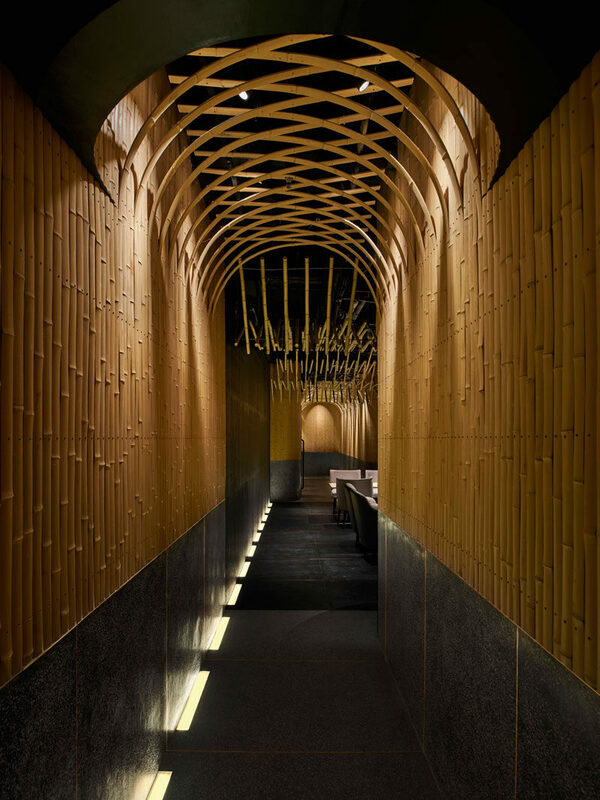 The architects explain that the vision of the client was to create a Japanese style restaurant and bar, while also expressing the elements of Chinese culture, as well as featuring natural material. Bamboo was chosen as it’s a traditional material with strong connections to both Japanese and Chinese arts and crafts. By using bamboo as an interior material, it evokes the feeling of dining within a bamboo grove for the guests. 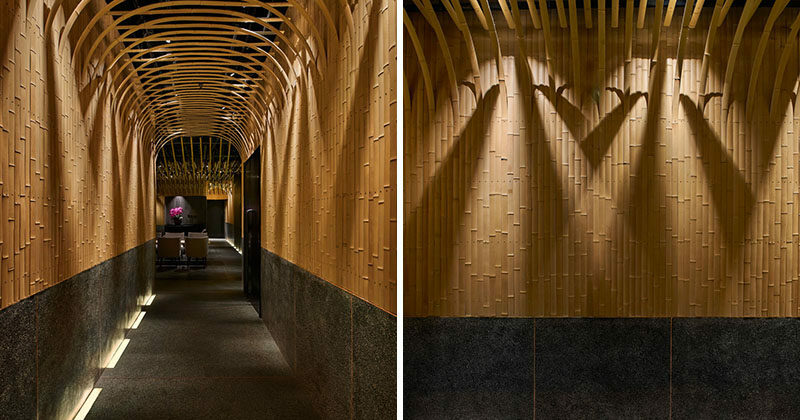 Some of the strips of bamboo that cover the walls, have been curved away from the wall, creating an archway. 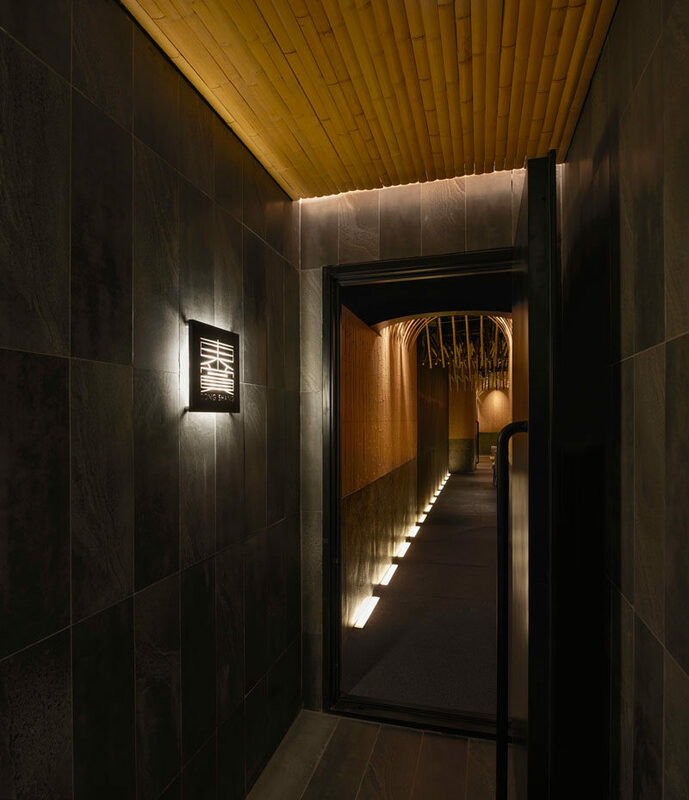 The bamboo also contrasts the surrounding materials, like the black doors of the private rooms and the delicate brass that accents the grey granite stone. 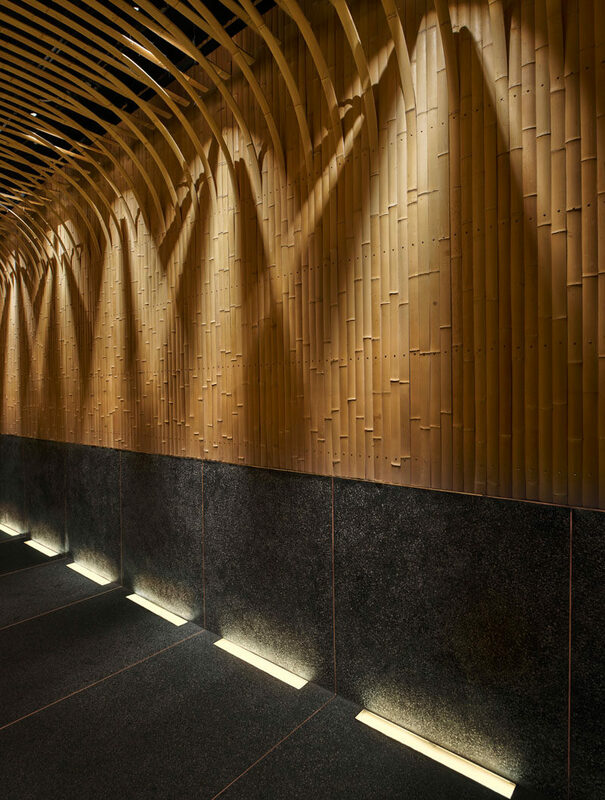 Feature lighting, which passes through the bamboo strips at the ceiling, illuminates the walls like sunshine filtering through tree leaves, while floor lighting, highlights the stone.